Action Aid says the country will continue facing climate change problems if authorities do not formulate bylaws that promote the environment. According to Nsanje Action Aid Programme Officer, Esther Moyo, the bylaws have a potential of reducing environmental challenges such as wanton cutting down of trees. 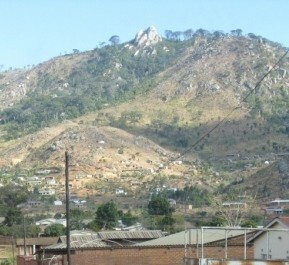 Soche hills: An example of fast depleting forests. Moyo added that the authorities mostly put more efforts on human laws leaving environmental issues aside. “When they are formulating laws they should make sure that issues of environment have been included,” Moyo said. She further urged people in authorities to put more focus on climate change which is an environmental issue. Earlier this year, the country experienced floods which destroyed property in some parts of the country.